How To Write a Topical Sermon: Before you can write a topical sermon, you will need to know what is a topical sermon? A topical sermon proclaims a biblical principle or truth. A topical sermon allows you to preach such topics as: Christian love, forgiveness, temptation, salvation, sanctification, hell, heaven, etc. etc. For instance, you may want to preach on the subject of temptation. If you are going to preach on temptation, you will need to create an angle or perspective to your topic. You could look at how to resist deadly temptation. If you are going to preach on Christian love, you could look at the different expressions of Christian love. If you are going to teach on heaven, you could look at the wonders of heaven. Once you have chosen your topic and you have created an angle or perspective to your topic, you will need to develop a topical sermon outline. I never write a sermon until I have constructed the sermon outline. A sermon outline becomes your roadmap for your message. The sermon outline develops cohesion and sequence to the message you are about to preach to your congregation. The sermon outline helps you expand and explain the points you want to make in your presentation. The sermon outline guides you in your presentation and it helps your congregation move with you as you expand and explain your topic. 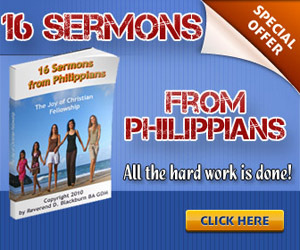 To construct a topical sermon outline, you will need to keep in mind the three important structural features of a topical sermon outline. As stated before, your topic must express what you are going to present to your congregation. The main preaching topic defines the subject of your sermon. The main preaching topic is the umbrella statement that covers what you are going to say to your congregation. In the example above, I used “How to Resist Deadly Temptation” as a topic. I used “The Different Expressions of Christian Love” as a topic and I used “The Wonders of Heaven” as a topic. Those three topical sermons were based on those three topics. The key word or hinge word allows you to swing all your main points or sub-points from your main preaching topic. 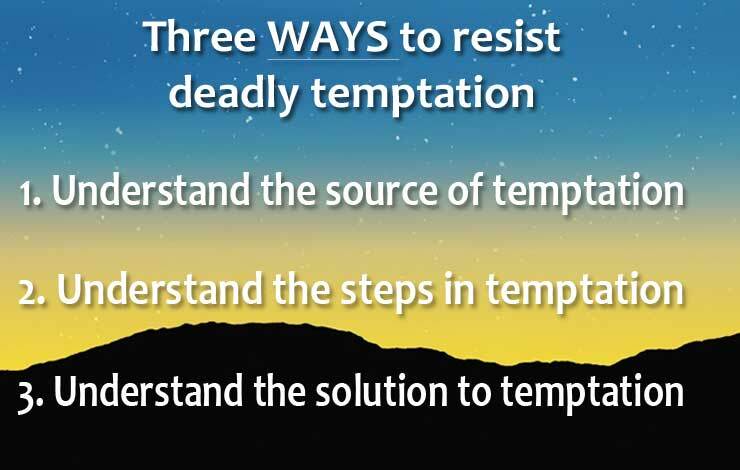 For example, there are three ways to resist deadly temptation. They involve understand the source of temptation, the steps in temptation and the solution to temptation. There are seven expressions of Christian love. They involve forgiveness, empathy, humility, harmony, faith and kindness. There are four wonders of eternal heaven. Heaven is a real place, a beautiful place, a populated place and a personal place. The sub-points (can also be called main points) simply expand and explain the main topic of the sermon or the main subject of the sermon. For example, when I preached the message on Resisting Deadly Temptation, the sub-points simply expanded and explained Resisting Deadly Temptation. The first way to resist deadly temptation is to understand the source of temptation. The second way to resist deadly temptation is to understand the steps in temptation. The third way to resist deadly temptation is to understand the solution to temptation. The topical sermon outline has cohesion and sequence. As the topical sermon unfolds, it has a natural progression. This helps your congregation follow the main points of your sermon. When it comes to incidental point, they too simply expand and explain your sub-points. For example, you want to expand sub-point two. There are three steps in temptation. The first step in temptation involves entertaining sin. The second step in temptation involves yielding to sin and the third step in temptation involves reaping the consequences of sin. Again, there is a natural flow and progression with these incidental points. Your congregation will be able to follow your topical sermon as it unfolds and progresses. How To Write A Topical Sermon: Once you have created the topical sermon outline, you will need to write content to the topical sermon outline and you will need to add appropriate illustrations, which reinforce the points you want to make. Once you finish writing the content and add illustrations, you will need to write the introduction and the conclusion.